Over the last decade hardware aesthetic medical techniques have made a huge leap forward. 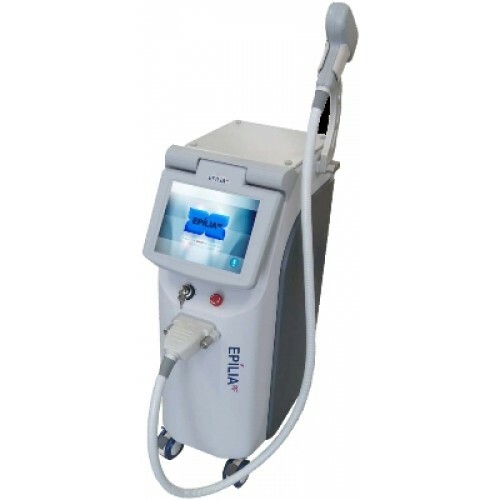 In particular, laser devices have passed a long way to improve, so today in the light of a serious medical studies and clinical practice experience gained over a long period of use in laser beauty medicine, was developed by the unit Epilia RF, high-end sales in the market today. EPILIA RF device is ergonomic, it has a modern design aesthetic design and is equipped with a wide screen. It is important that the machine EPILIA RF combines two power sources: a diode laser and the Russian Federation, it is extremely convenient because it allows to reduce the level of energy used. It also will expand the range of problems solved by the device. These include small static wrinkles, small scars, to fully get rid of these annoying defects need to undergo several sessions of the course. Another equally important function is to remove unwanted hair for a long time, the laser eliminates the possibility of any contact with the epidermis, and therefore guarantee absolute sterility and the absolute lack of risk of injury of the skin. Product Dimensions: 32x46x86 cm, weight 48 kg it.